Peekskill, officially the City of Peekskill, is a city in Westchester County, New York. It is situated on a bay along the east side of the Hudson River, across from Jones Point. The well-publicized Peekskill Riots of 1949, involving the Civil Rights Congress benefit concert of Paul Robeson, depicted in E. L. Doctorow's fictional novel, The Book of Daniel, specifically occurred in the neighboring suburb Van Cortlandtville. In September 1609, Henry Hudson, captain of the Halve Maen, anchored along the reach of the Hudson at Peekskill. His firstmate noted in the ship's log that it was a "very pleasant place to build a town". After the establishment of the province of New Netherland, New Amsterdam resident Jan Peeck made the first recorded contact with the Lenape people of this area, then identified as "Sachoes". The date is not certain, (possibly early 1640s), but agreements and merchant transactions took place, formalized in the Ryck's Patent Deed of 1684. The name Peekskill derives from a combination of Mr. Peek's surname and the Dutch word for stream, kil or kill. Located on the north bank of the Annsville Creek as it empties into the Hudson, Fort Independence combined with Forts Montgomery and Clinton to defend the Hudson River Valley. Fort Hill Park, the site of Camp Peekskill, contained five barracks and two redoubts. European style settlement took place slowly in the early 18th century. By the time of the American Revolution, the tiny community was an important manufacturing center from its various mills along the several creeks and streams. These industrial activities were attractive to the Continental Army in establishing its headquarters here in 1776. The mills of Peek's Creek provided gunpowder, leather, planks, and flour. Slaughterhouses were important for food supply. The river docks allowed transport of supply items and soldiers to the several other fort garrisons placed to prevent British naval passage between Albany and New York City. Officers at Peekskill generally supervised placing the first iron link chain between Bear Mountain and Anthony's Nose in the spring of 1777. Though Peekskill's terrain and mills were beneficial to the Patriot cause, they also made tempting targets for British raids. The most damaging attack took place in early spring of 1777, when an invasion force of a dozen vessels led by a warship and supported by infantry overwhelmed the American defenders. Another British operation in October 1777 led to further destruction of industrial apparatus. Peekskill's first legal incorporation of 1816 was reactivated in 1826 when Village elections took place. The Village was further incorporated within the Town of Cortlandt in 1849 and remained so until separating as a city in 1940. Peekskill was the landing point of a fragment of the Peekskill Meteorite, just before midnight on October 9, 1992. The meteoric trail was recorded on film by at least sixteen individuals. This was only the fourth meteorite in history for which an exact orbit is known. The rock had a mass of 12.4 kg (27.3 lb) and punched through the trunk of Peekskill resident Michelle Knapp's automobile upon impact. The Peekskill Evening Star was the city's daily newspaper, publishing under various mastheads from the 19th century on, and as the Evening Star from 1939 till 1985 when the paper folded into what would become the nexus of the Journal News, a conglomeration of local papers from throughout Westchester County. The Journal News focused more on statewide and New York City issues, however, which led to the founding of the Peekskill Herald in 1986. Although numerous prominent citizens came together to try to keep the paper afloat after a series of New York Times articles about the paper's foundering fiscal situation, it 'folded in 2005, being replaced by the Peekskill Daily in 2009. The Centennial Firehouse, built in 1890, was located under a U.S. Route 9 bridge. During the original construction of the bridge in 1932 part of the roof of the firehouse was removed. As part of a highway reconstruction project it was to be relocated to a new historic district. The city spent $150,000 in grant money in preparing the building. Unfortunately a mechanical failure during a turn caused the building to collapse. The current mayor of Peekskill is Frank Catalina. Peekskill is located at 41°17′N 73°55′W﻿ / ﻿41.283, -73.917 (41.2889, -73.9200) in northwestern Westchester County. According to the United States Census Bureau, the city has a total area of 5.5 square miles (14 km2), of which, 4.3 square miles (11 km2) of it is land and 1.1 square miles (2.8 km2) of it (20.99%) is water. The city is bordered by the town of Cortlandt, New York and the Hudson River. Peekskill is drained by Peek's Creek. As of the census of 2000, there were 22,441 people, 8,696 households, and 5,348 families residing in the city. The population density was 5,189.7 people per square mile (2,005.7/km²). There were 9,053 housing units at an average density of 2,093.6 per square mile (809.1/km²). The racial makeup of the city was 57.12% White, 15.54% African American, 0.42% Native American, 2.38% Asian, 0.06% Pacific Islander, 9.83% from other races, and 4.64% from two or more races. Hispanic or Latino of any race were 31.92% of the population. There were 8,696 households out of which 30.5% had children under the age of 18 living with them, 39.7% were married couples living together, 16.3% had a female householder with no husband present, and 38.5% were non-families. 31.3% of all households were made up of individuals and 10.8% had someone living alone who was 65 years of age or older. The average household size was 2.55 and the average family size was 3.18. In the city, the population was spread out with 24.4% under the age of 18, 8.3% from 18 to 24, 34.9% from 25 to 44, 20.9% from 45 to 64, and 11.5% who were 65 years of age or older. The median age was 35 years. For every 100 females there were 94.2 males. For every 100 females age 18 and over, there were 91.0 males. The median income for a household in the city was $47,177, and the median income for a family was $52,645. Males had a median income of $38,091 versus $34,757 for females. The per capita income for the city was $22,595. About 10.3% of families and 13.7% of the population were below the poverty line. Peekskill train station provides commuter service to New York City, 41 miles (66 km) away via Metro-North Railroad. The Bee-Line Bus System provides bus service to Peekskill on routes 14, 15, 16, 17, 18, and 31. The Bear Mountain Bridge, five miles (8 km) to the northwest, gives road access to Bear Mountain State Park across the Hudson River, Palisades Interstate Parkway and to the United States Military Academy at West Point via US 6 and US 202. The Croton Expressway portion of US 9 ends here. NY 9A and NY 35 also run through the city. The town contains several parks and recreation areas, including Charles Point, with bay and river views; Depew Park, which has pools and a pond in addition to ballfields and trails and is the home of the Recreation Department headquarters; Franklin Park; Lepore Park; Peekskill Dog Park; Peekskill Stadium; Riverfront Green Park; and Tompkins Park (home of Little League). The Peekskill City School District was headed by Superintendent Judith Johnson, the 2008 New York State School Superintendent of the Year, up until 2011. The current superintendent is Lorenzo Licopoli. It consists of four elementary schools, one middle school, and one high school. The elementary schools operated on a "neighborhood" basis until 1999. Beginning the 1995-1996 school year, sixth graders were moved from elementary schools to the middle school. Until the 1998-1999 school year, each student attended the school closest to his or her home, beginning in kindergarten and ending with graduation from fifth grade. In 1999, the elementary schools were integrated, each school housing two grades. In 2009, the newly built Peekskill Middle School caused a shift in the locations of grades yet again and consequently moved grades one through five around. The high school serves grades nine through twelve. The Uriah Hill, Jr. School housed the district's Early Childhood Education program. The ECC consisted of a pre-school and a kindergarten program. The Uriah Hill, Jr. school was located at 980 Pemart Avenue. As of September 2009, Uriah Hill School closed due to the consolidation of grades in other schools and as a way to cut back due to the economic setback that the whole country is facing. Oakside Elementary School caters to the district's second and third graders. The school is located at 200 Decatur Avenue. Woodside Elementary School houses the district's Pre-kindergarten program, kindergarten and first grade. It is located on Depew Street. Hillcrest Elementary School educates the district's fourth and fifth grades. It is located at 4 Horton Drive. Peekskill Middle School educates the district's sixth, seventh, and eighth graders. The new Middle School building opened at the beginning of the 2009-2010 school year. It is located on Washington Street, directly behind the old building. The former Peekskill Middle School was located at 212 Ringgold Street, which was later demolished. Peekskill High School educates most of the district's ninth, tenth, eleventh, and twelfth graders. The high school is located on the grounds of the original Peekskill Military Academy at 1072 Elm Street. For the second consecutive year, Peekskill High School is listed on Newsweek's 2008 Washington Post Challenge Index of the top high schools in the nation. This year, the school ranked in the top 5% of all high schools nationally based on the ratio of graduating seniors and students taking Advanced Placement Tests. The Governor George E. Pataki Leadership and Learning Center, located in Peekskill, is designed to educate schoolchildren on government using Governor Pataki's public service as an example. Charles Gargano, Pataki's former economic development chief, led the effort to create the center. On August 14, 2008, The New York Times announced that the center's sponsors had "filed paperwork with the State Department of Education and are trying to raise $500,000 for a start-up fund so they can open the center in the fall." The center currently holds Governor Pataki's official portrait, which will be moved to Albany at the end of 2009. The center has three directors: David Catalfamo, the governor's former communications chief; Kimberly Cappelleri, Libby Pataki's former chief of staff; and, Amy Holden, former executive assistant to the governor. Former New York Governor George Pataki (served 1995–2006) was born in Peekskill. He also served as mayor from 1981-1984. Richard E. Jackson, a former Peekskill mayor, was the first African-American mayor in New York State. Chauncey M. Depew was chairman of the board of the New York Central Railroad and then served as a United States senator for New York. Cornelius A. Pugsley was a congressman and preservationist whose name is still attached to a national preservation award for public parks. William Nelson was a colleague to Abraham Lincoln, leading to President-elect Lincoln's brief 1861 stop at the Peekskill village on his way to the Washington D.C. inauguration. Henry Ward Beecher was an influential Civil War-era minister who built his impressive family mansion on East Main Street in 1878. Moses S. Beach was responsible for initiating the Associated Press (AP) while publisher of the New York Sun newspaper. T. C. Boyle (b. 1948), a novelist, is a former Peekskill resident. Actors Mel Gibson, Paul Reubens and Stanley Tucci were born in Peekskill. Former NFL lineman Tre Johnson graduated from Peekskill High School, and had a stellar nine-year NFL career highlighted by his selection to the 2000 Pro Bowl with the Washington Redskins. NBA basketball professionals Elton Brand and Hilton Armstrong are Peekskill High School graduates. Kirtanananda Swami Bhaktipada (born Keith Gordon Ham in Peekskill on September 6, 1937, and graduated with honors from Peekskill High School in 1955), Hare Krishna guru. Hayward Burns graduated from Peekskill High School before becoming editor of the Harvard Law Review; later helped draft the constitution of South Africa. John Leslie (01/31/1915-03/12/2009), a Peekskill native, was working for IBM in 1957 when he conceived of the idea that a computer could prepare a tax return; he turned in the first completely computer generated and printed tax return that the IRS ever accepted to the Andover, Massachusetts office in 1971. Longtime Marvel Comics artist Herb Trimpe (The Incredible Hulk) was raised in Peekskill. Former United States Attorney General Benjamin Civiletti, attorney; in 2005, he became the first U.S. lawyer to charge $1000 an hour; senior partner in the Washington, D.C. law firm of Venable LLP. Independent filmmaker Abel Ferrara was born in the Bronx, moved to Peekskill as a teenager and graduated from high school here. L. Frank Baum, author of The Wizard of Oz, attended Peekskill Military Academy for approximately two years. Jackie Gleason, actor and comedian, lived in Peekskill from 1959 to 1963. Cartoonist Peter Bagge was born and brought up in Peekskill. Samuel Frost Haviland, established first bank in Chile. Peekskill is about 40 miles (64 km) north of New York City. In the early 1990s, the population was dwindling and the downtown area was becoming more vacant. The Common Council decided to make artist studios and galleries an important part of the City's revitalization strategy. The city wanted to turn its unused downtown spaces into something useful. Similar to Lowell, MA's strategy, in order to have a vibrant downtown area one must have a population living there, so that the activity does not only happen from nine to five. In creating spaces where artists both live and work, the city created a situation in which there would always be people downtown, 24 hours a day. At the same time, the Common Council wanted to get people into downtown Peekskill, rising real estate prices in New York City were driving artists to move further away from even the boroughs outside Manhattan. Peekskill took an active role in pursuing displaced artists by taking out advertisements in So Ho art magazines and offering them low interest rates. This helped artists buy buildings and convert them into useful spaces. Once a few artists had moved to Peekskill, a buzz was created and more artists made the move north. As an economic development incentive, landlords can be offered tax incentives, grants, facade improvements, and loans to renovate buildings that can be used as live-work spaces by artists. Since 1991, property owners have 58 artist live/work lofts and in 2002, the City of Peekskill and the County of Westchester joined with a private real estate company to development The Peekskill Art Lofts. This 28 unit coop offered artist an opportunity for affordable home ownership. Peekskill has drawn a number of artists and art appreciators to its environs recently. Local highlights include Paramount Center for the Arts, a restored 1930 movie palace which now serves as the area's cultural hub with music, comedy, drama and independent films. In the fall of 2012, the Paramount suspended operations while dealing with funding issues. Other highlights include the Hudson Valley Center for Contemporary Art, STUDIO No.9 Gallery and Workshops, and the Peekskill Coffee House, which showcases local acts. The Bean Runner Cafe, on South Division Street, and 12 Grapes, on North Division Street, also showcase local artists and musicians. On the popular 1980s sitcom The Facts of Life, Peekskill was the location of two fictional educational institutions: Eastland School for Girls and Langley College. Also located in the fictional version of Peekskill were the shops Edna's Edibles and Over Our Heads, therefore making the town the setting for most of the action on the series. ^ Ford, Carin T. Paul Robeson:I Want to Make Freedom Ring,pg.97 Chapter9 2008. ^ "Astronomy Picture of the Day: 2006 November 19 - The Car, the Hole, and the Peekskill Meteorite". http://antwrp.gsfc.nasa.gov/apod/ap061119.html. Retrieved 2010-11-30. ^ "Westchester County Newspaper Collections". Rootsweb.ancestry.com. 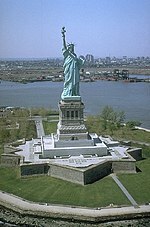 2001-05-27. http://www.rootsweb.ancestry.com/~nywcgs/wcgsrs10.htm. Retrieved 2014-04-25. ^ "New owner has ambitious plans for Peekskill Herald". Westchester County Business Journal. 1998. http://findarticles.com/p/articles/mi_qa5278/is_199811/ai_n24339292/. ^ "peekskilldaily.com". peekskilldaily.com. http://peekskilldaily.com. Retrieved 2014-04-25. ^ Rowe, Claudia (1997-06-08). "Paper Fights To Stay Alive". The New York Times. http://www.nytimes.com/1997/06/08/nyregion/paper-fights-to-stay-alive.html?pagewanted=all. Retrieved 2010-05-22. ^ "A Peekskill Firehouse on the Move". The New York Times. August 9, 2008. http://www.nytimes.com/2008/08/10/nyregion/nyregionspecial2/10firehousewe.html. ^ "Historic Peekskill firehouse collapses in move". Lohud.com. http://www.lohud.com/apps/pbcs.dll/article?AID=/20080821/NEWS/808210453. ^ "City Parks". City of Peeskill. http://www.cityofpeekskill.com/parksandrecreation/depew-park. Retrieved 20 June 2014. ^ "Head of the Class - Westchester Magazine - April 2008 - Westchester, NY". Westchester Magazine. 2014-04-13. http://www.westchestermagazine.com/Westchester-Magazine/April-2008/Final-Say-Judith-Johnson/. Retrieved 2014-04-25. ^ a b Berger, Joseph (2008-08-14). "Well, a Pataki Center Would Play in Peekskill". The New York Times. http://www.nytimes.com/2008/08/17/nyregion/nyregionspecial2/17colwe.html?ref=nyregionspecial2. Retrieved 2009-01-17. ^ Blain, Glenn (2008-07-30). "By George! Collection for Pataki museum". Daily News (New York). http://www.nydailynews.com/news/2008/07/30/2008-07-30_by_george_collection_for_pataki_museum.html. Retrieved 2009-01-17. ^ "Portrait hung in Peekskill on way to Capitol". The Journal News. 2009-01-05. http://www.lohud.com/article/2008901050352. Retrieved 2009-01-17. ^ "Corporation established to create Pataki museum". Buffalo News. 2008-07-24. http://www.buffalonews.com/nationalworld/state/story/398575.html. Retrieved 2009-01-17. ^ a b c d e f g h i j k l "Peekskill > Prominent Peekskill People". Peekskill Arts Council. 2007. Archived from the original on August 14, 2007. http://web.archive.org/web/20070814111658/http://www.peekskillartscouncil.org/peekskill.php. Retrieved December 10, 2012. ^ "New Vrindaban: The Black Sheep of ISKCON by Henry Doktorski". Henrydoktorski.com. http://www.henrydoktorski.com/nv/bhaktipada.html. Retrieved 2014-04-25. ^ "Green Skin's Grab-Bag: "An Interview with Herb Trimpe"". Webcitation.org. http://www.webcitation.org/query?url=http://www.geocities.com/jonhulkholt/trimpe.interview.1.html&date=2009-10-26+01:00:13. Retrieved 2014-04-25. ^ "Jackie Gleason's Round House". Popular Mechanix. April 1960. http://blog.modernmechanix.com/2007/12/28/jackie-gleasons-round-house/. Retrieved 21 November 2010. ^ Statham, Richard (31 July 1963). "Jackie Gleason's fabulous home is now up for sale". Ottawa Citizen. http://news.google.com/newspapers?id=Ujk0AAAAIBAJ&sjid=YfUIAAAAIBAJ&pg=5347,7607716&dq=jackie+gleason+round+home&hl=en. Retrieved 21 November 2010. ^ 28 July 1963. "Here's House For Sale, Jackie Gleason Special". St. Petersburg Times. http://news.google.com/newspapers?id=ChUmAAAAIBAJ&sjid=d1IDAAAAIBAJ&pg=5930,4180792&dq=jackie+gleason+circular+home&hl=en. Retrieved 21 November 2010. This page uses content from the English language Wikipedia. The original content was at Peekskill, New York. The list of authors can be seen in the page history. As with this Familypedia wiki, the content of Wikipedia is available under the Creative Commons License.